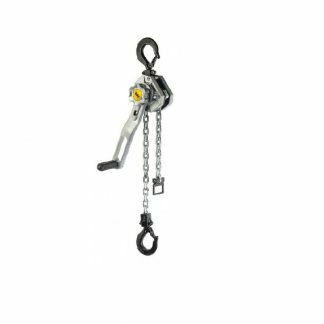 View cart “CPV/F 2-8 SWL 250Kg Electric Chain Hoist” has been added to your cart. Comes as standard with a Top Hook but this model can be fitted to a Push trolley for use on lifting beams. This product comes with a Standard 3M height of lift. If you require a larger height of lift please contact one of our sales team for a quote. The new Yale electric hoist model CPV/CPVF combines modern design with technical innovation, creating a robust and versatile tool which is ideal for industrial applications. A load sprocket and chain guide that can easily be inspected or removed without having to dissemble the entire unit. The externally adjustable slip clutch is designed to guarantee a permanent connection between the load and the brake. For more information about these products or any of the EDS range please feel free to contact us and a member of our experienced team will help you. This product comes with a Standard 3M height of lift. If you require a larger height of lift please contact one of our sales team for a quote.